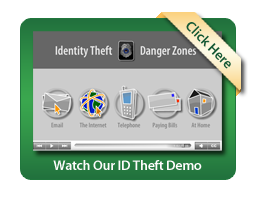 Planters Bank is committed to helping protect you from Identity Theft Protection with ID Safe.SM We are pleased to provide our basic ID SafeSM protection to all Planters personal checking account holders as a free, value-added benefit. You want access to our awesome PlantersPerks app which awards you with a package of valuable benefits and protections. $2 off per month with deliverable eStatement. Access to the exclusive PlantersPerks app with discounts at thousands of local and national retailers and restaurants at your fingertips. Access your benefits 24/7 @ www.plantersperks.com, plus get the App by searching "PlantersPerks" in the App Store or Google Play. You want to earn higher interest in exchange for higher account balances. Apply for your line of credit 24/7 @ https://paysound.plantersbankonline.com/. $100 minimum opening deposit required to open any personal checking account. Only point-of-sale transactions $5 or greater qualify. Cell Phone Protection, Personal Identity Theft Protection and Travel Accident Insurance are subject to additional terms and conditions. Insurance products are not a deposit, not FDIC-insured by any federal government agency, and not guaranteed by the bank. Identity Theft Protection package includes Payment Card Protection, Personal Identity Theft Protection and Identity Recovery and Restoration. Interest paid on entire balance when you maintain a minimum daily balance of $1,500. Small box or credit toward large box, subject to availability. Third-party fees and some restrictions may apply. $.50 fee for each item in excess of 5 per month. Accounts and services must be active for 60 days to receive bonus points. Certain restrictions apply. Standard deposit insurance has been permanently raised to $250,000 per depositor per account category. ID SafeSM – Planters Bank is dedicated to helping protect you from identity theft with ID Safe.SM This unique service, which includes Payment Card Protection, $1,000 Personal Identity Theft Protection and Identity Recovery and Restoration is FREE for all Planters Bank customers with any personal checking account. Online Banking with Bill Pay – Bank any time on your schedule, not ours - view statements, check account balances, pay bills and view loans, transfer funds from one account to another. Learn more about e-Banking. Mobile Banking – Access accounts from anywhere to check balances, recent transactions and transfer funds. Log on securely from your cell phone with Internet access. Available with any personal checking account. Learn about our newest mobile product, iDeposit Mobile. E-Statements – E-Statements are fast, simple, and secure. Plus, they are conveniently accessible through online banking with no separate password. If you do not already have an Online Banking account, simply click the "First Time User" link on the green Account Access section of our home page (www.plantersbankonline.com.) Accept the terms and conditions, enter the requested information, and click submit. You will receive an email confirming your enrollment. Within Online Banking, simply click the Documents tab to retrieve your statement. Visa® Check Card with UChoose Rewards®– Use your check card anywhere Visa® is accepted and earn UChoose Rewards® points with every signature-based card transaction. Avoid the hassles of writing checks and accumulate points redeemable for travel, merchandise or CASH!. You shop. You earn. You choose. It’s that simple. Say goodbye to waiting forever to earn enough points to redeem. Visit www.uchooserewards.com to register. You’ll also find a detailed list of where you’ve shopped and what you’ve earned, an online catalog of redemption options, a Wish List, and much more! ***** Visa® Check Card and VISA® Check Card with Photo Security is subject to approval. When traveling abroad, you must notify us of the countries you will be visiting and your travel dates so that your VISA® debit card will work. Make a note of the Fraud Prevention Center international number 614-564-5101 to report a lost or stolen debit card. Keep this number in a safe place away from your card and card information. Be sure you know your 4-digit PIN. Some merchants may require a four-digit personal identification number (PIN) when using a debit card. Your cards are subject to daily spending or withdrawal restrictions while abroad. You may wish to contact us to request a temporary increase to these amounts during your travel dates. Overdrafts can be created by: checks, ACH transactions, in-person withdrawals, Internet banking, preauthorized automatic transfers, telephone banking, ATM******, or everyday debit card****** transactions, and will result in a fee of $37 per item paid or returned. Accounts will be charged an overdraft per day fee of $5 after the account has been negative for 4 days. Planters Bank does not encourage overdrawing your checking account. Overdraft Privilege is a non-contractual courtesy available to personal checking accounts in good standing and is subject to approval. ****** Overdraft Privilege is subject to approval. When we pay overdraft items customers will be charged our normal NSF-item paid fee for each item presented. You must bring your account to a positive balance within a 30-day period. Whether overdrafts will be paid is discretionary and we reserve the right not to pay. For example, we typically do not pay overdrafts if the account is not in good standing, if the customer is not making regular deposits, or if the customer has too many overdrafts. ****** Overdraft Privilege will only be available for ATM and everyday debit card transactions if you authorize the Bank to pay those transaction types (see ATM/Debit Card Consent Form). If you authorized Overdraft Privilege for ATM transactions, please verify your balance before initiating an ATM withdrawal. Tips on Avoiding Overdrafts - The following tips can help you manage your account wisely to avoid overdraft situations. Keep an eye on your account balance prior to writing a check or using your debit card. Prevention is your best medicine. Review your transactions on an ongoing basis. Use services, such as online banking, to help you keep up-to-date with your balance. Remember to record and deduct checks, automatic recurring payments and debit card transactions and to add any deposits that have not yet been posted to your account. Do not use your debit card like you use your credit card. Your debit card is like an electronic check and the funds are automatically deducted from your account. Ask your bank about all of its overdraft services. Community banks generally offer three types of overdraft services: overdraft lines of credit, transfers or sweeps from a savings account or another checking account, and overdraft coverage. Transfer or sweep arrangements allow customers to cover overdrafts using their own funds for a small transaction fee. Many times a bank will choose to pay an overdraft for a fee to avoid consumers having the inconvenience of returned transactions – embarrassment, fees and hassles from merchants. Talk to your community banker about the best choice(s) for you. ATM Banking – Use your Planters Bank Visa® Check Card to withdraw cash and access your account information at any Planters Bank ATM, plus thousands of other machines nationwide. Telephone Banking – Available 24/7, Planters Bank Telephone Banking keeps you in touch with your accounts; transfer funds between accounts, get up-to-date account information and receive valuable information about Planters Bank products by calling toll free 877-792-4078. Wire Transfers - Send or receive funds from anywhere in the world. Restrictions and fees may apply. Safe Deposit Box – Consult your nearest Planters Bank office for information on availability, restrictions and fees.